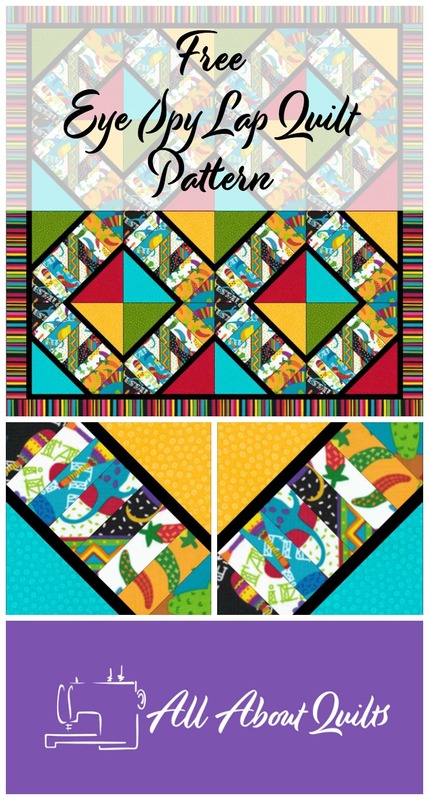 Eye Spy Lap Quilt 41" x 41"
Joannes Designs Week41 'Eye Spy' a lap quilt designed to be made from fabric in your stash. 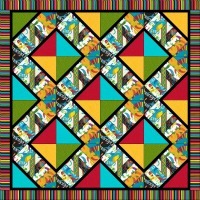 This quilt has been inspired by the up coming arrival of our second grandchild. I'm making a one off Dr Seuss quilt this year and it looks like I'll have some fabric left over. My daughter loves quilts and I thought this would be a great addition to her Dr Seuss themed room and also a quilt makes a great play mat when they are not yet mobile! There are several ways to make this block. 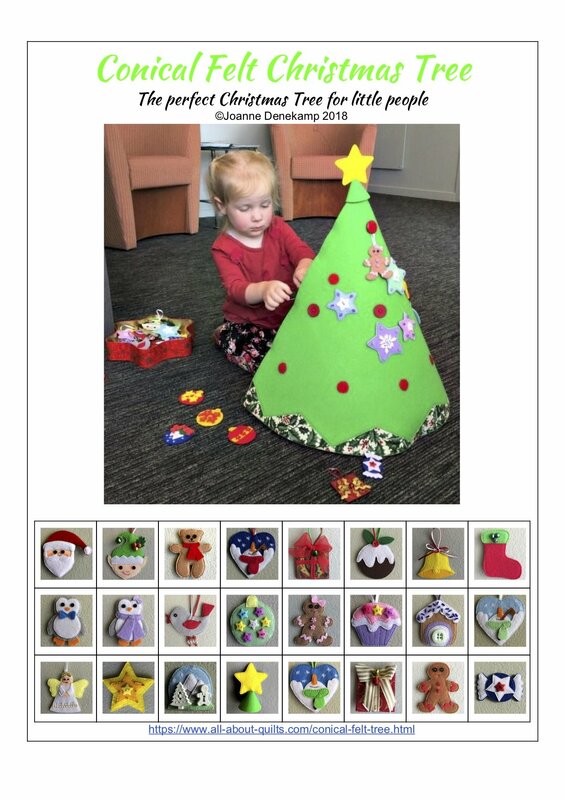 You can ad-lib the fabric placements within the diagonal black strips or you can use the foundation paper piecing template. 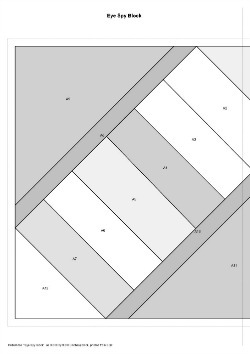 For this you will need to print off multiple copies of the foundation paper pattern below. Either method will work well - it is just personal choice. I have friends who love foundation paper piecing as it is so accurate and therefore the seams match up effortlessly. I also have friends who having tried FPP once will never do it again as they hated removing all the paper at the end. I myself don't mind it and feel that there are times that it is the only option to making certain intricate blocks. I'm currently working on my Dear Jane quilt and there are a lot of blocks that require FPP to make them so I'll see how I feel about them in a few months time! Each block in the quilt is made 9" x 9" finished. There are 16 Eye Spy blocks. The side and corner blocks can both be made using some of the original block pattern. 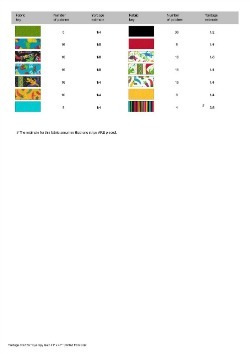 The inner border is made from strips cut 1" wide and the outer border is cut 2 1/2" wide. 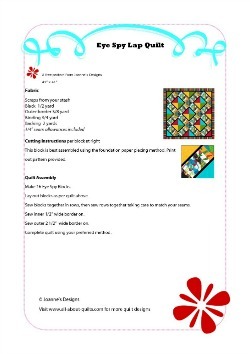 To download the pattern, fabric yardage guide or foundation paper piecing pattern click on the images below. This is a very simple block to make. 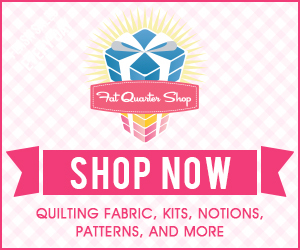 I have found it easiest to sort my scrap fabrics first and cut some of the fabric into strips first. This works best for either method of constructing the blocks. 3. Each block can be made by random placement of all the pieces. I have done this several years ago on a quilt and found that I was really bothered by the diagonal thin strips not matching - I turned that quilt into one to practice my free motion quilting on. I hope you enjoyed Joannes Designs Week41. Just 11 patterns to go!